All the puppets for the show were built from scratch, starting with metal ball and socket armatures machined by Justin Kohn and Peter Marinello. I then sculpted each character over it's respective armature, which was first covered in plastic wrap to prevent the metal from directly contacting the oil based Roma clay. Stylistically, John Matthews decided to completely ignore the simplistic artwork of the book Stanley by author Syd Hoff, on which the film was based, and instead aimed for a realistic caricature approach. 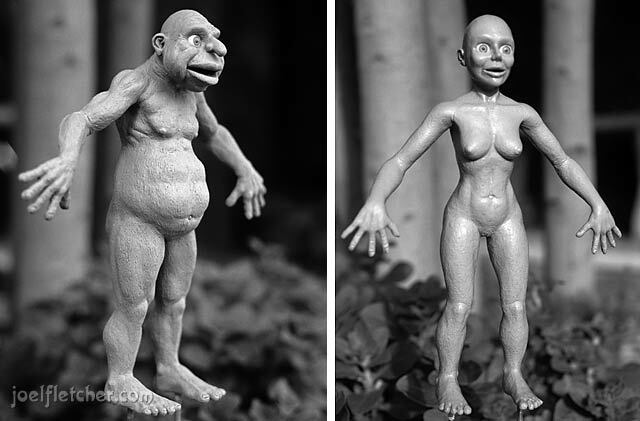 John would sometimes draw a sketch of how he wanted the characters to look, but often just let me go for it and sculpt them as I pleased. As can be seen in the photos, I added a lot more detail than necessary, and John had to stop me from making them fully "anatomically correct". It was a film for children after all! The old cave woman was particularly fun to create, with all of her wrinkles. The eyes were intentionally left wide to facilitate the later use of replacement eyes with built-in eyelids. 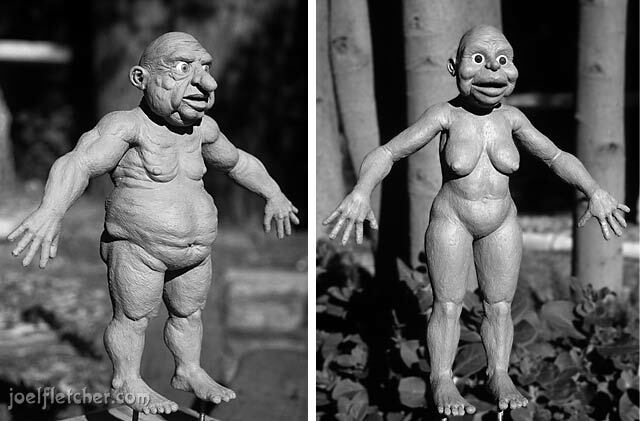 Due to the film's minimal budget, I was only allowed 3 days (24 hours) to sculpt each adult character, and 2 days for the children, so I had to work quickly and efficiently. In all, an entire cave tribe of 6 adults and 4 children were my handiwork. I wanted to sculpt the star Stanley too, but John reserved that task for himself. It was the director's prerogative, oh well. Note that the characters were sculpted in a neutral pose, which was mainly to facilitate the molding process which came afterword. Also, it was a median position that was ideal for when the sculpture becomes a rubber puppet, minimizing stretching when it was animated. 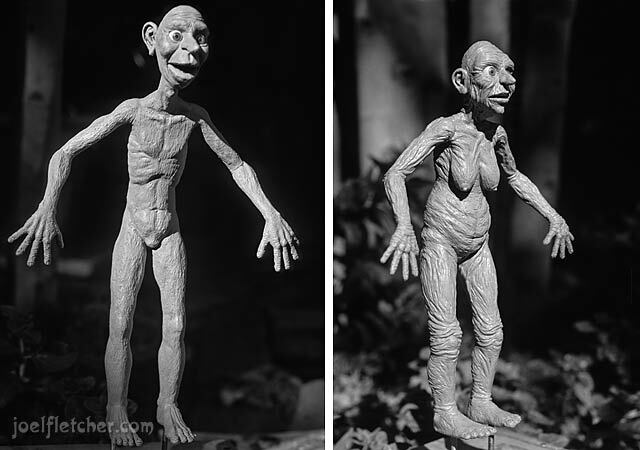 Two-part molds were made of each sculpture using Ultracal gypsum cement, then turned over to the skillful hands of Niki Matthews for transformation into foam rubber animation puppets. 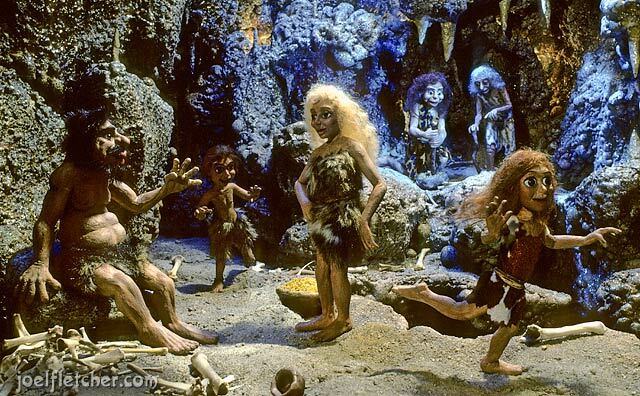 I remember the day Niki delivered the cavemen puppets to the animation studio, it was a surprising treat to see them with her own embellishments of hair and clothing that added another level of personality. We then brought the characters to life through the magic of stop-motion animation! Clay sculptures of cave tribe leader Bart and his wife Bertha. Lanky Bill and old matriarch Blanche. Dim witted Butch and the tribe beauty Beatrice. 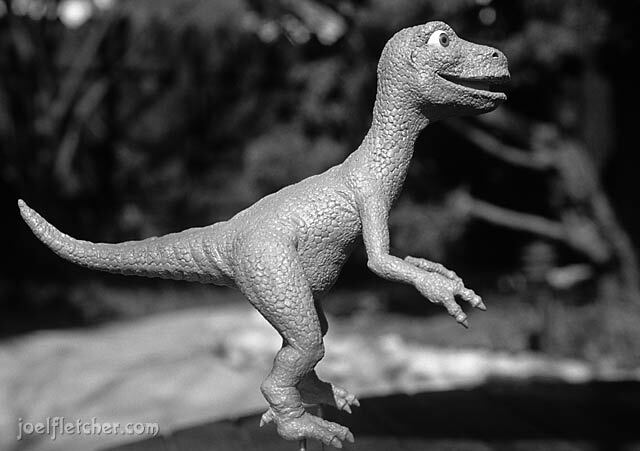 I also sculpted one of the dinosaurs, a juvenile Tyrannosaurus. 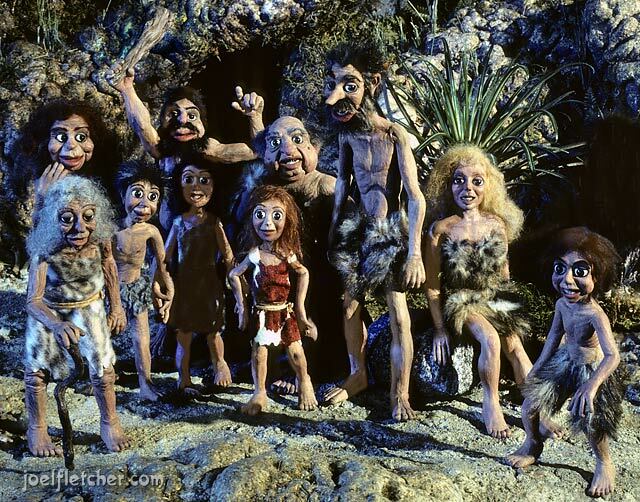 The finished cavemen puppets pose in front of the family cave.